Day Two of the inquest into the death of Bruno Dos Santos. A young man who died in immigration detention may have suffered a rare disease leading to his death, an inquest heard today. 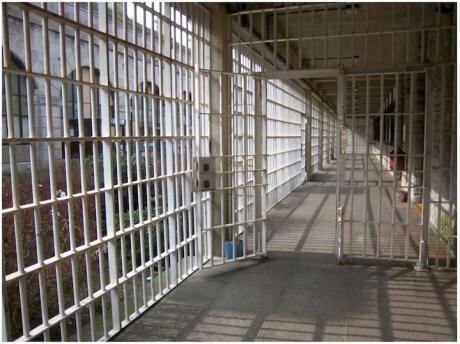 Bruno Dos Santo, 25, was found dead in his cell at the Verne Immigration Removal Centre in Portland on 4 June 2014. The jury inquest, sitting at Dorchester County Court, heard evidence that following a serious road accident aged 10 in 1998, Dos Santos experienced a change in personality, becoming more aggressive and suffered severe epileptic fits. He was depressed and had tried to take his own life. Dr Simon Rasbridge, the consultant pathologist who carried out the post mortem examination, said the anatomical cause of death was neurosarcoidosis, a form of inflammation of within parts of the brain. The jury inquest, sitting at Dorchester County Court, heard evidence that neurosarcoidosis is a rare disease and that its cause is unknown. Dr Rasbridge said that lesions were present in Dos Santos’s mid-brain, home to important centres that “keep your heart beating and keep you breathing”. He added: “Any disease process that affects this will have a profound effect on breathing or the heart beating.” Dr Rasbridge sent the lesions on to expert neuropathologist Dr Mark Walker to examine. The jury was told that Dr Walker had written a report which diagnosed neurosarcoidosis. Nick Brown, the barrister representing Dos Santos’s relatives, questioned the reliability of this diagnosis. Brown argued that Dr Walker’s report was couched in probabilities and that the language used suggested that the diagnosis was “not quite 100%”. Georgina Woolf, the lawyer representing the Ministry of Justice and the National Offender Management Service, interrupted Brown’s examination to ask whether the line of questioning had strayed beyond Dr Rasbridge’s expertise. Brown told the court that it was important to assess why neurosarcoidosis has been diagnosed, given the rarity of the disease and Dos Santos’s lack of symptoms of the disease before his death. In light of these facts, he said, Dr Walker’s report “does not provide confidence”. Brown added that this was especially important because there could be another cause of death: sudden unexpected death in epilepsy. Dr Rasbridge said there was no proof that epilepsy was the cause of death, but when questioned further said that in the absence of symptoms of neurosarcoidosis, sudden unexpected death in epilepsy could be a potential cause of Dos Santos’s death. At the time of his death, Dos Santos had been prescribed carbamazepine, an anti-epileptic drug, and anti-depressants. Police found two full packs of unused carbamazepine tablets, one half empty packet and a full pack of pain relief tablets. This suggests Dos Santos had missed several days of medication before he died, the court heard. Dr Mark Walker is due to give evidence on Thursday.